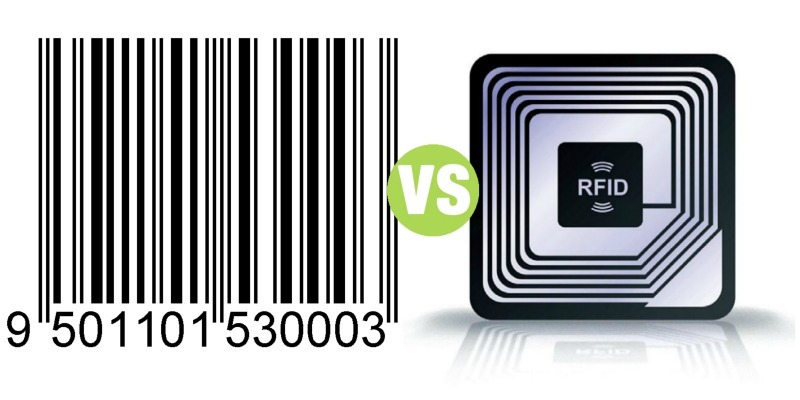 Summary: Difference Between RFID and Barcode is that RFID is a standard, specifically a protocol, that defines how a network uses radio signals to communicate with a tag placed in or attached to an object, an animal, or a person. While Barcode or Bar Code is a way of representing data, it is the small image of lines in the form of bars and spaces used to identify or get information about a particular item, product etc. Barcode or Bar Code is a way of representing data, it is the small image of lines in the form of bars and spaces used to identify or get information about a particular item, product etc. Behind these bars and spaces there are numbers and other symbols that represents information about that item or product. A barcode typically includes five parts.